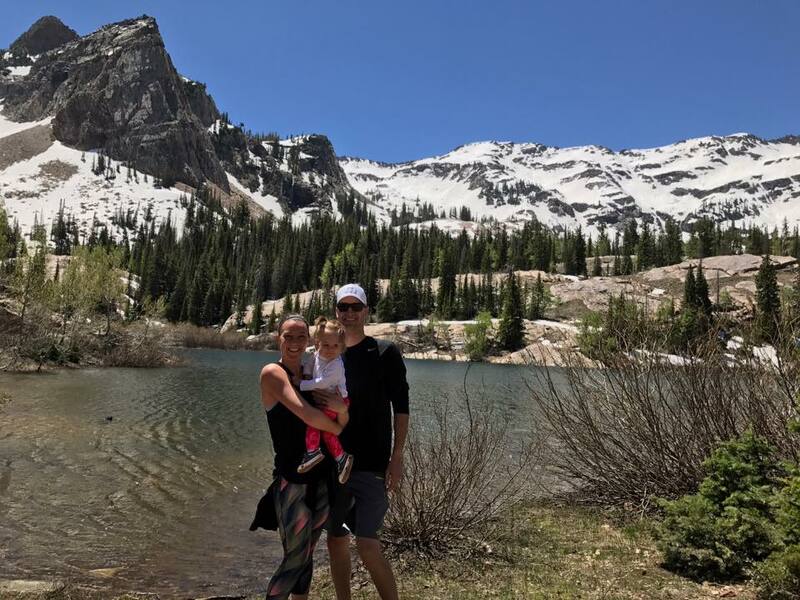 Dr. Brigitte Smith with her husband Tyler and their daughter Gretchen on a hike. Get to know one of the graduates of our surgical residency: Dr. Brigitte Smith, Assistant Professor of Surgery at the University of Utah in the Division of Vascular Surgery. Reflecting on your time here at UW Dept of Surgery, what do you believe helped you prepare for the surgical career you have now? Strong mentorship and sponsorship. Both are so critical to success in academic surgery, and WI does both well! Mentors engage with medical students and residents to guide them in their career development, while sponsors are the people who help you to network with the surgical community beyond UW. Sponsors make phone calls for you and promote you for awards and recognition, and for your first job. I had strong mentors and strong sponsors. I could not have attained the academic career I have now without them. The mentorship speaks to the altruism and selflessness of the UW culture, while sponsorship speaks to the academic strength of the Department. The faculty are all highly successful in their specialties and areas of academic interest; everyone is well connected regionally and nationally so they are able to help trainees advance in their careers. Aside from that, I simply had great surgical training. You can’t beat that. What is a fond memory you have that brings a smile to your face when you think about your time here? Night float as a PGY-2 resident with my chief, Nic Ballion, who is Greek. Nic didn’t understand many of the idioms used in American comedies or general conversation, so it was always funny to explain them to him and then listen to him incorporate them into conversations later throughout the night. I still remember him repeating “running around like a chicken with head cut off” multiple times throughout one particularly busy night. Trauma nights were always busy and often stressful, but fun with a great team of residents! In your current surgical role, how do you instill the values and lessons learned during your UW experience to a new generation of surgical trainees? UW sets the bar high. There was a certain level of professionalism that everyone naturally displayed…often through small things, like being 5 minutes early for conferences/meetings. It’s tough to explain, but there are subtleties of the culture at UW that you don’t notice as unique or special until you leave. I try to instill this level of professionalism and commitment to the small things in the fellows and residents I train. I also try to provide the same level of mentorship and sponsorship that I was so fortunate to receive in my training. My door is always open and I try to make time for every student, resident or fellow who asks for my support in any way, whether clinical, research or otherwise. Do you stay in touch with any of the UW Dept of Surgery resident/fellows with whom you trained? If so, who and why? A few of my junior residents have been looking for their first jobs lately and I’ve done everything I can to promote them as candidates here at University of Utah. It’s great to hear what other people are doing and where life is taking them! I generally look forward to national meetings where I have the chance to catch up with old friends. Angela Gibson and I started in General Surgery Residency together out of medical school at UW, so we have a long history together, even though I veered off into the vascular world. I always love hearing from her and seeing how her kids are growing up! Any other information you would like to share with our alumni? My daughter Gretchen will turn 2 years old this month, and her baby brother will be born shortly after her birthday. My husband Tyler and I are thrilled to be growing our beautiful family. We are enjoying Utah and love the mountains. Hiking in the summer is breathtaking, and the skiing in the winter is unbeatable. We miss Wisconsin lakes, though, and try to visit Madison every summer.